The Jordan Brand introduces an all new grade school exclusive Air Jordan 3 Retro covered in a combination of vibrant tones. 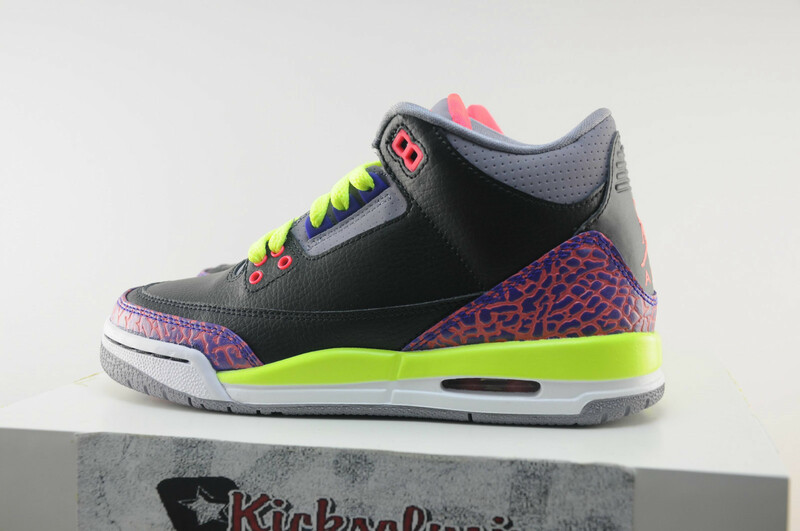 The new look Air Jordan 3 for the young ones sports a black and grey leather build, with purple/atomic red elephant print overlays adding to the unique look. Atomic red also hits the eyelets, tongue lining and tongue Jumpman logos, while volt takes over the laces and combines with white over the midsole below. 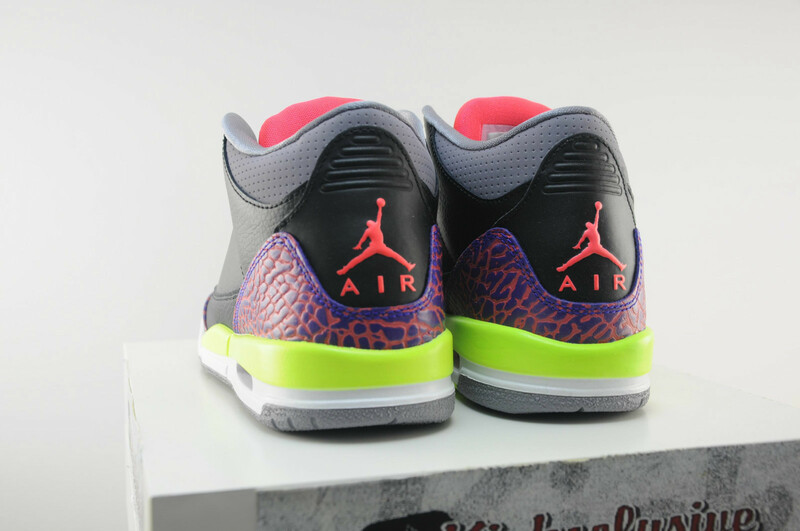 The Black/Atomic Red-Volt Air Jordan 3 Retro GS hits retailers on August 31st.